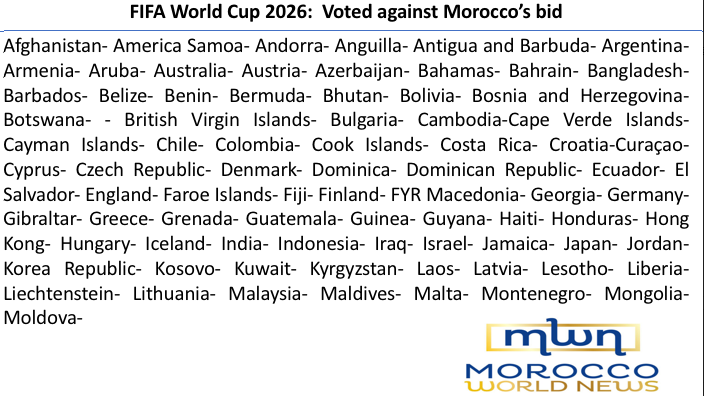 2026 World Cup: Who Voted for United 2026 vs Morocco? 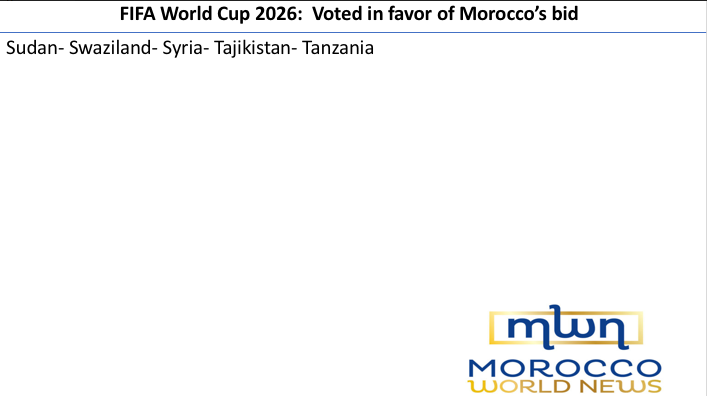 Home News Morocco 2026 World Cup: Who Voted for United 2026 vs Morocco? Rabat - The competition to host the 2026 World Cup has ended. 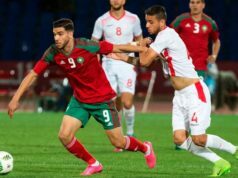 The United 2026 (North American) bid won the race, but Morocco’s passion for football will remain despite failing a fifth time in its aim to be the second African country to host the world’s premier tournament. 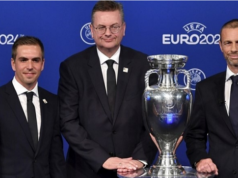 Rabat – The competition to host the 2026 World Cup has ended. 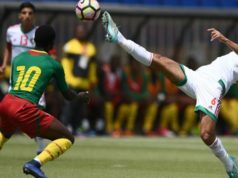 The United 2026 (North American) bid won the race, but Morocco’s passion for football will remain despite failing a fifth time in its aim to be the second African country to host the world’s premier tournament. 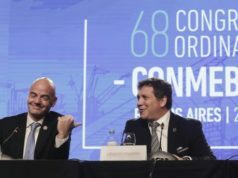 During the 68th FIFA Congress, 200 federations voted, with one federation (Iran) voting for neither bid. Iran’s decision can be explained through the political crisis with both bidders. Spain, which decided yesterday how it would vote, abstained from voting along with Slovenia and Cuba. United 2026 received 134 votes, including several from Arab countries: Saudi Arabia, Iraq, Kuwait, Bahrain, and the United Arab Emirates. 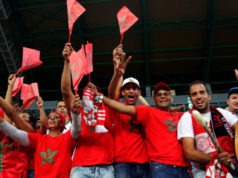 Saudi Arabia received wide backlash from Moroccans worldwide for lobbying against Morocco in the final days of the bid and for collecting votes for Morocco’s rival. Morocco received 65 votes. Surprisingly, several countries changed their heart in the last minutes to the vote. 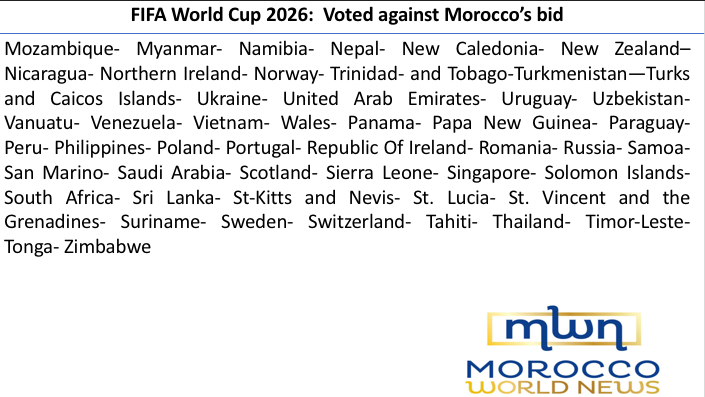 While they pledged support for Morocco throughout the bidding process, these countries, including Russia, Botswana, and Saint Lucia voted for United 2026 instead. FIFA’s unprecedented voting system published the votes of countries. Confused between voting and not voting, the countries had only 15 seconds to cast their vote. 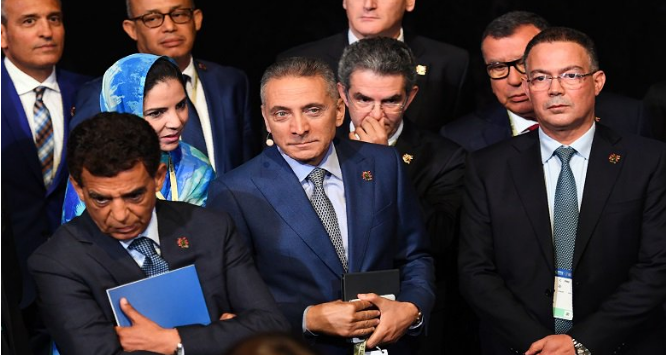 Some countries, including African countries, chose not to vote for Morocco, possibly influenced by pressure from the US to choose between their interests or friendship ties. The statement of Hicham El Amrani, CEO of the Moroccan bid, rings true. “Even if Africa has always acted in unity, unity does not mean 100% of all the member associations, this is part of the democratic process,” El Amrani told BBC. Like South Africa, Namibia decided not to vote for Morocco because of its stance on the Western Sahara conflict. Liberia, Benin, Guinea, and Sierra Leone, Zimbabwe, Mozambique, Namibia, and Lesotho also voted for United 2016, failing the African dream to host the tournament a second time. And the last African country that chose to vote against Morocco was Botswana, which had pledged support for Morocco, but changed its heart during the vote. 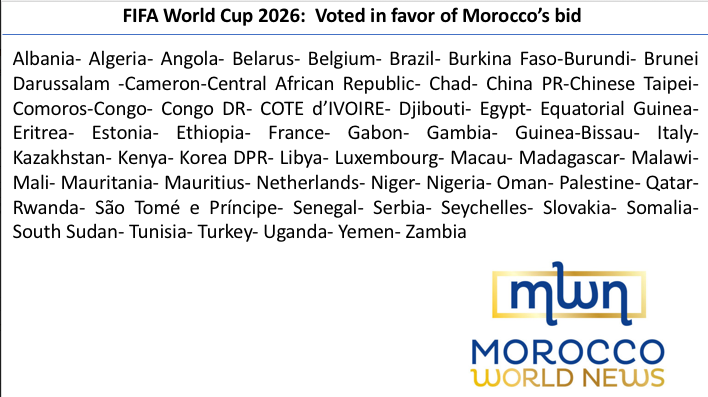 The following list voted for Morocco 2026.